Selection of a knee implant is one of the most important decisions that a surgeon makes before undertaking a knee replacement surgery. It is rare that a surgeon suggests an implant that is in recall list. However, as a recipient of an implant, you must be aware of its safety and its proven side-effects. A recalled implant is one that has been withdrawn from the market due to reasons such as design malfunction or poor outcomes, and may require an earlier revision surgery. We have spoken at length about knee replacement surgeries in our previous articles. When we learned about knee replacement implants, we also found out that they have limited lifespans; that is, they do not last forever and need to be replaced as and when necessary. The procedure or operation involving replacement of an implant is known as a revision surgery. Wear and tear or loosening of the implant. Instability of the joint due to damaged ligaments. Reduced range of motion or persisting stiffness of the joint. Fractured bone around the implant. Knee Replacement Surgery – How can it help you get rid of pain? However, sometimes a faulty implant may be the cause for a revision surgery. In spite of the rigors of clinical trials and quality assessment procedures a medical device undergoes before being approved, certain defects may be discovered at a later stage. Based on the recurrence of manufacturing defects and adverse events some implants need to be withdrawn from the market – this is known as implant recall. Why are some implants recalled? Premature implant failure or loosening. Labeling errors (for instance, wrong size). Missing features in the implant. Metal debris in implanted anchors. Implant defect causing difficulties while assembly. Implant material with sub-optimal biocompatibility. Implant incompletely sealed, compromising sterility. Implants not meeting regulatory standards of the country. Which implants have been recalled? Below, we have enlisted some of the knee implants that have been recalled recently. LCS Knee Implant-Meniscal devices (recalled in 2008) – recall was terminated in 2009 by USFDA. PFC Sigma Knee Systems (recalled in 2009) – recall was terminated in 2010 by USFDA. LPS Diaphyseal Sleeve (recalled in 2013) – recall was terminated in 2014 by USFDA. Scorpio Cr and PS components (recalled in 2005) – recall was terminated in 2008 by USFDA. Duracon Total Knee (recalled in 2006) – recall was terminated in 2009 by USFDA. Unicompartmental Knee System (recalled in 2011) – recall was terminated in 2014 by USFDA. Journey Uni Tibial Baseplate (recalled in 2009) – recall was terminated in 2011 by USFDA. Vanguard PS Open Box Femoral Component (recalled in 2007) – recall was terminated in 2008 by USFDA. Vanguard DCM PS Plus Tibial Bearing (recalled in 2008) – recall was terminated in 2009 by USFDA. NexGen MIS Tibial Components (recalled in 2010) – recall was terminated by USFDA. NexGen LPS-Flex GSF Femoral Component (recalled in 2013) – recall was terminated in 2014 by USFDA. NexGen MIS Tibial Components (recalled in 2010) – recall was terminated in 2011 by USFDA. NexGen TM Tibial Trays (recalled in 2010) – recall was terminated by USFDA. NexGen MIS Modular Tibial Plates and Keels (recalled in 2010) – recall was terminated by USFDA. Natural Knee System – Natural Knee II Durasul Patella (recalled in 2012) – recall was terminated in 2015 by USFDA. iUni (recalled in 2015) – recall was terminated in 2016 by USFDA. Kindly note that some implants mentioned in the recall list have been partially recalled, hence they can be available in certain countries. In 2008, LCS Knee Implant-Meniscal devices were recalled by its manufacturer (DePuy) for labeling errors related to dimensions. 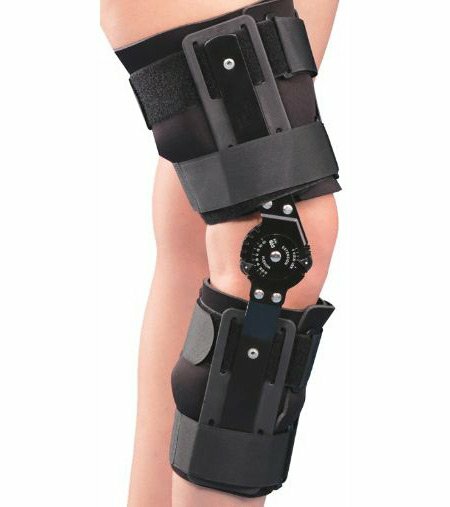 The company was directed to recall PFC Sigma Knee Systems in 2010 due to lack of approval from the USFDA. In India, medical devices are regulated by The Central Drug Standards Control Organization (CDSCO) which is a part of the Ministry of Health and Family Welfare. In 2006, a bill was passed for the regulation of medical devices which was abolished in 2009 by the Council of States. Presently, the governing regulation for medical devices in India is Drugs and Cosmetics Act, 1940 and Rules, 1945. In 2013, the Drugs and Cosmetics Amendment Bill was introduced which included regulatory guidelines for import, manufacture, sale, distribution, and export of medical devices. Medical devices that have been approved in the United States and the European Union do not require an additional assessment to acquire approval to be marketed in India. The Federation of Indian Chambers of Commerce and Industry (FICCI) has been collaborating with CDSCO and Indian medical regulators towards increasing access of medical devices to patients and streamlining their regulations. However, less expensive medical devices find a huge market in India and the fact that regulatory guidelines in the country are less stringent, makes matters worse. What if my Knee Implant is Recalled? Not all knee replacement implants come with a warranty. But if you have doubts about your knee implant or if the implant used in your knee has been recalled, first you must speak to your doctor regarding how you could prevent damage to your knee. Subsequently, you should contact your lawyer to find out your legal rights with respect to implant replacement or compensation. Majority of patients who have had a defective implant choose litigation since the compensation facilitates payments of their medical bills and replacement of the failed knee implant. Besides, lawsuits may also speed up the process of recall of a defective implant by a manufacturer; this may help in preventing similar adverse events in future. It is essential to note that an implant recall does not imply that it is sure to fail in all patients. It means that either the implant has a higher rate of revision surgery, that is, it may need a revision earlier than expected or it has a defect. A defect or an adverse effect of an implant may not be hazardous to all patients. Yet, it is important to know the recall status of the implant chosen for you, before you undergo surgery. Such data is easily available in websites of regulatory bodies, such as USFDA and TGA. Knee Replacement, Osteoarthritis knee implants, knee pain, knee replacement, knee replacement surgery, knee surgery, knee surgery implants, osteoarthritis. permalink. left knee replaced 6-25-12 with Depuy LCS complete system failed and was replaced 1-25-18 Surgeon said both components loose and knee was grossly unstable.